Have you ever wondered what justice really means? Political science students ask big questions about what it means for society to function well and how we can best live the good life together. You will explore the four subfields of political science—American Politics, Comparative Politics, International Relations, and Political Theory—and graduate prepared to engage effectively in public life. If you want to pursue the public good, political science offers a solid academic and practical foundation necessary to do so.  Why study political science at Gordon? There are less than 25 students in most classes, so political science students can work closely with professors and peers on substantive projects. Classes are Socratic in style—faculty facilitate student conversation by asking open-ended questions. Studying from a Christian perspective allows you to consider questions of political structuring inside of the framework of justice and Christian responsibility. A required internship will give you real-world experience in the context of thoughtful Christian engagement. What careers can I pursue with a political science major? Political science majors conduct summer research alongside faculty, choose to write honors theses, and spend time interning in places like Beijing, São Paulo, and on Capitol Hill (to name just a few). Many are involved with campus clubs and organizations such as the Gordon College Student Association, Model United Nations, and the Political Discourse Club. Study in the places that most interest you, from D.C. to the Middle East. Each program offers a different political perspective and focus. Many students combine a political science major with an international affairs major or a pre-law or innovation and social enterprise minor.